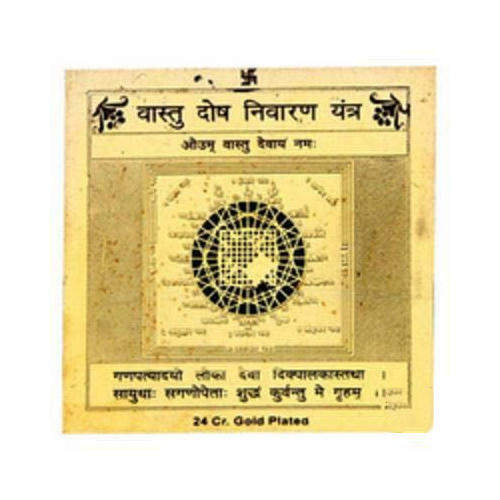 This Yantra has powerful effects on the attainment of power, authority and financial success. It also bestows popularity. It bestows favour from the government, higher officials and popular leaders. This Yantra is equally powerful in eliminating Vaastu Dosha. This should be installed both at home and the workplace. You may bless your friends and relations and as well as get blessed by them by gifting this Yantra on a festival day - be it Diwali, Christmas or New Year day. Should be kept at the entrance on a wooden stool or in the show case or in the living. Keeping a flower in front of it is enough. Can be kept on any day except on a Saturday or Tuesday. Ever since 1987, he has toured extensively in various countries giving lectures and also Astrological, Vaastu and Spiritual consultations to people there.He is a disciplinarian, his routine starts at 4.30 am with yoga, physical exercise, pranayama and meditation. He is not, in the strictest sense of fee term, religious, does not encourage too much of religious practices, pujas, festivals, etc, but is spiritual. Pranayama and meditation are his favourites. He never advocates the use of computerised readings. Until a few years back be used to give consultations in post by typing readings on a typewriter, he has done over 9,600 readings (all preserved) till date, in writing while orally he has given consultations to innumerable people for three decades. He has manually cast at least 5000 horoscopes in the 70s and 80s using logarithms and basic mathematical tools. In fact, he also specialised in casting horoscopes for overseas births pertaining to almost all countries in the world.He is a weight lifting enthusiast and was very popular in many gyms in fee city by his ability to lift very heavy weights. Now of course due to work pressures and age factors he has reduced it but still continues to do a bit of weight lifting. His mother Smt. Rajeswari Raman was an authority on Hatha Yoga and conducted free Yoga classes for women for 4 decades. Guruji is jovial and understanding and is liked by one and all.